NASA's $US1 billion Juno spacecraft completed its 10th high-speed trip around Jupiter on December 16. 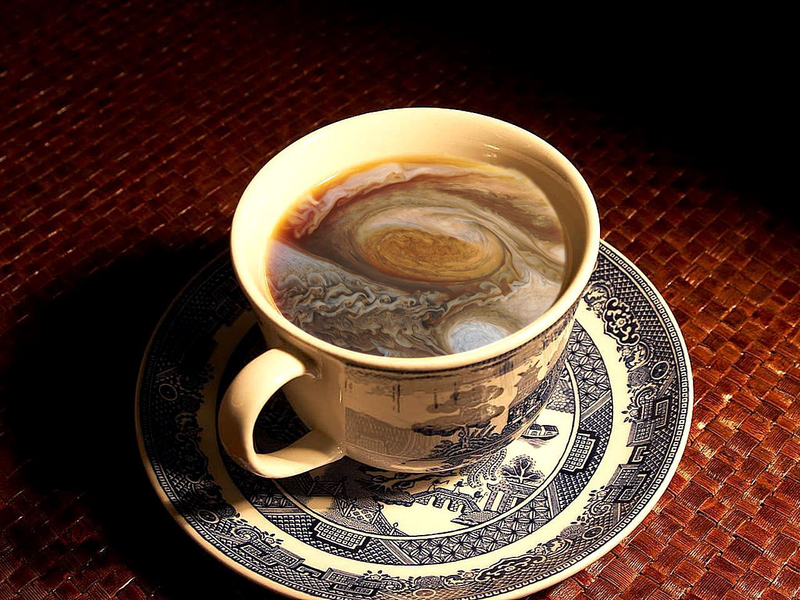 The robot gets relatively close to the gas giant planet and takes new photos with its JunoCam instrument roughly every 53 days, while travelling at speeds up to 130,000 mph (209,000 km/h). Researchers at NASA and the Southwest Research Institute uploaded the raw image data to their websites in late December. Since then, dozens of people have processed the black-and-white files into gorgeous, calendar-ready colour pictures. so psychedelic - it reminds me of Vincent van Gogh. Love this so much. Jupiter is by far the most breathtakingly beautiful of our gas giants. I like to imagine standing on one of its moons, and watching Jupiter rise. I have to imagine that it would fill the entire sky when you faced it full-on, on the closer moons. Imagine that as the sky. Wow.